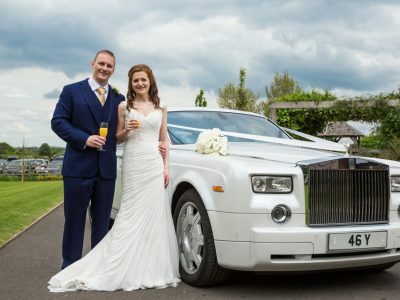 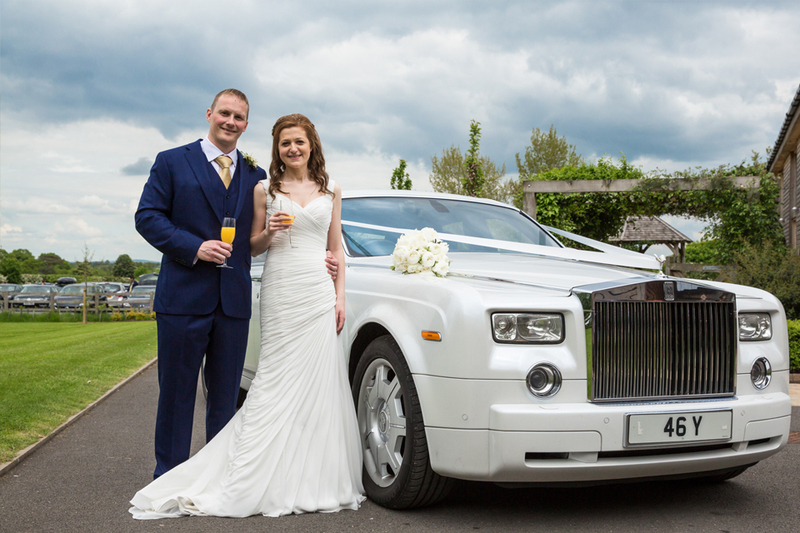 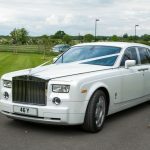 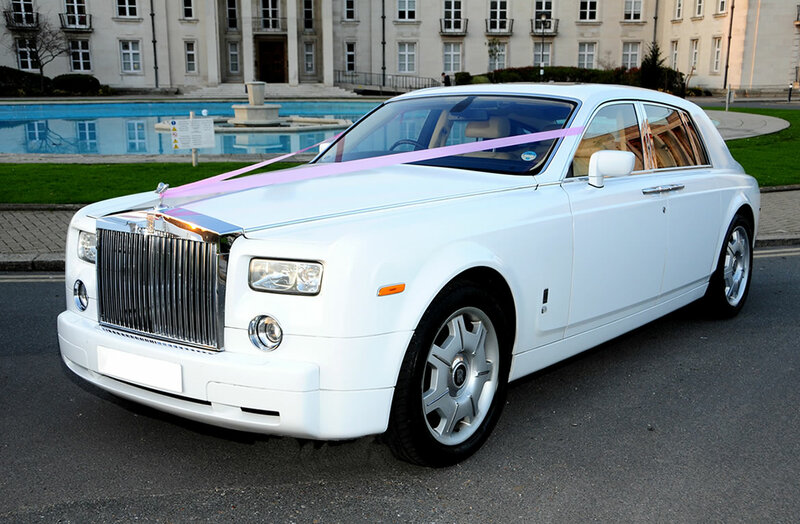 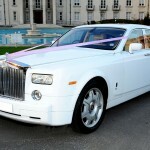 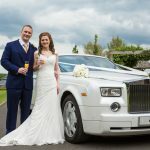 Arriving at your wedding in a traditional white wedding car is timeless, clasic and ensures your arrival is akin to that of Cinderella or Snow White, completing your own Princess fantasies and there is no more traditional wedding car than a white Rolls-Royce Phantom. 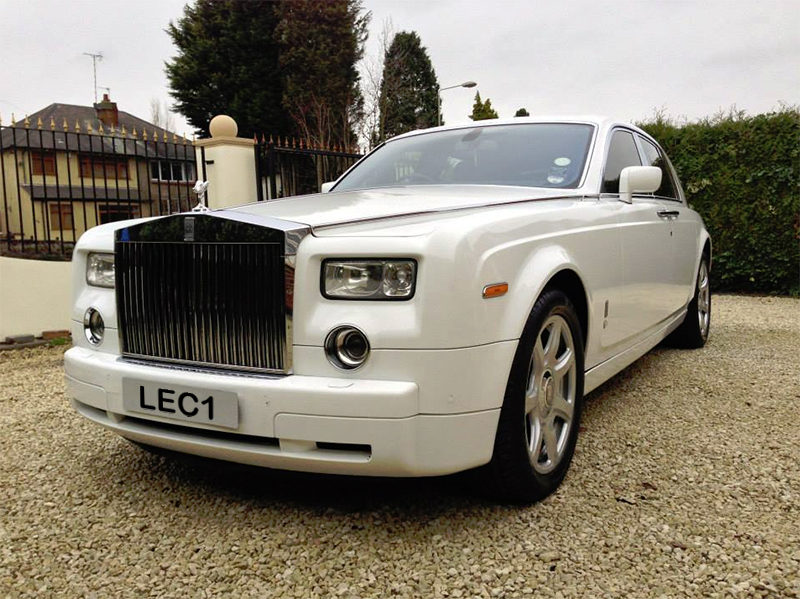 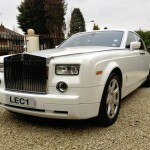 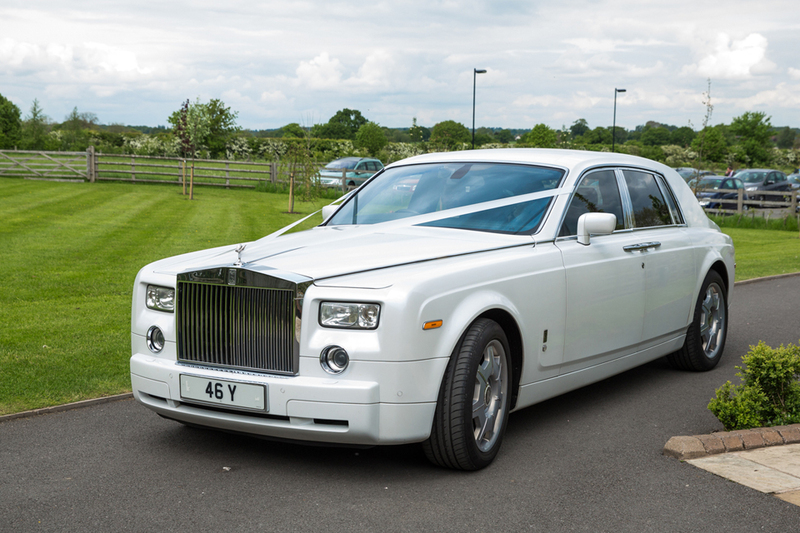 Our White Rolls Royce Phantom is absolutely stunning. 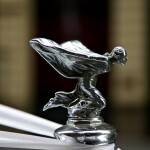 Refined, immensely comfortable and very fast! 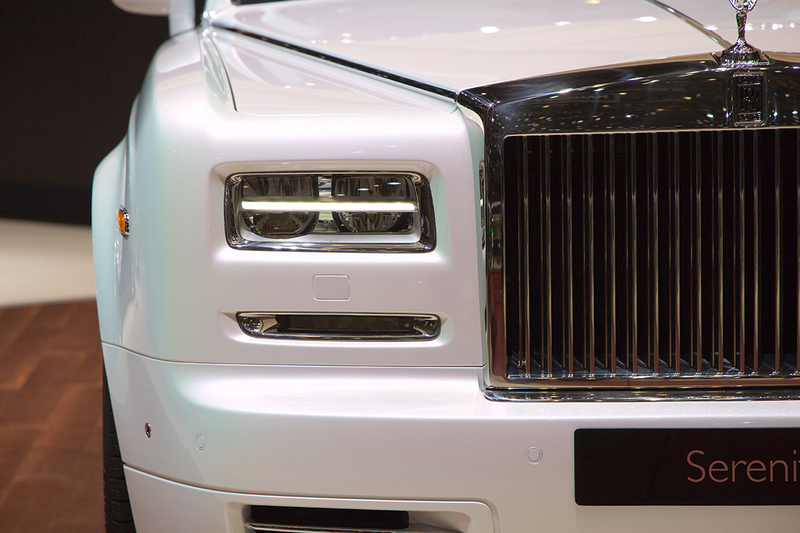 A limousine that’s far more agile than it looks. 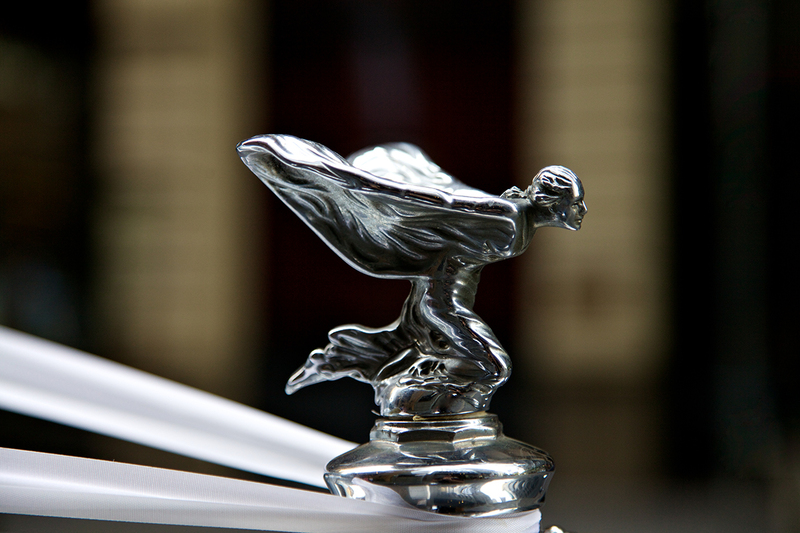 Luxuriously appointed, the engine purrs as you drive to your destination in the comfort of beautiful leather seats. 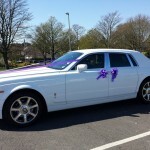 Have a matching pair of white bridal cars for His and Hers wedding transport. 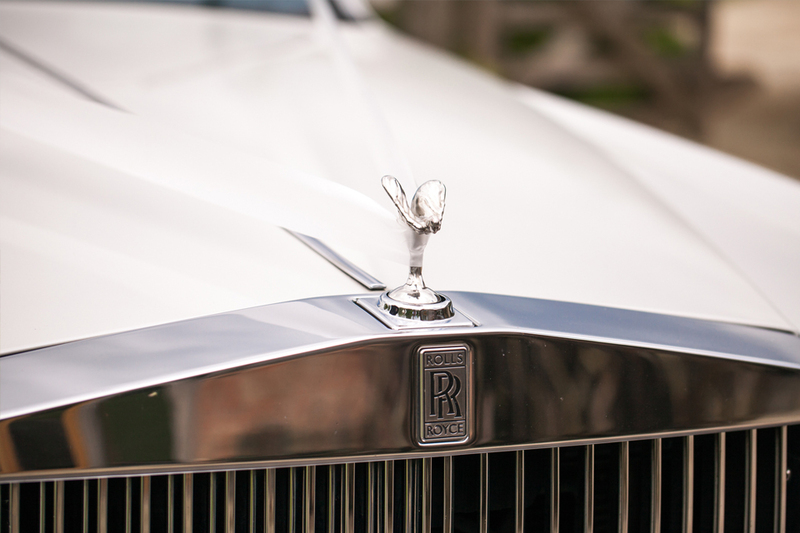 The Rolls Royce Phantom complements our VIP Fleet superbly – because when you travel in a Phantom, one of the world’s most magnificent cars, you are guaranteed to savour and enjoy every minute of this exceptional experience. 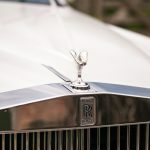 Slipping inside, the Phantom has full leather, theatre configuration seating with contrasting stitching, sitting atop carpet and lambs wool rugs in the same dark spice colour as the natural grain leather trims. 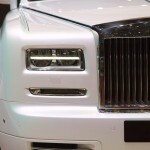 There are also oak burr veneer features on the steering wheel spokes and the dashboard. 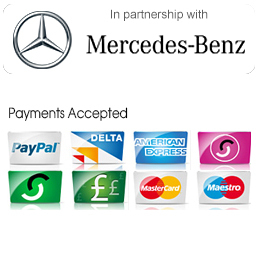 For a quote and help arranging your airport transfer, please get in touch by completing the contact form (click here) or by phone or email. 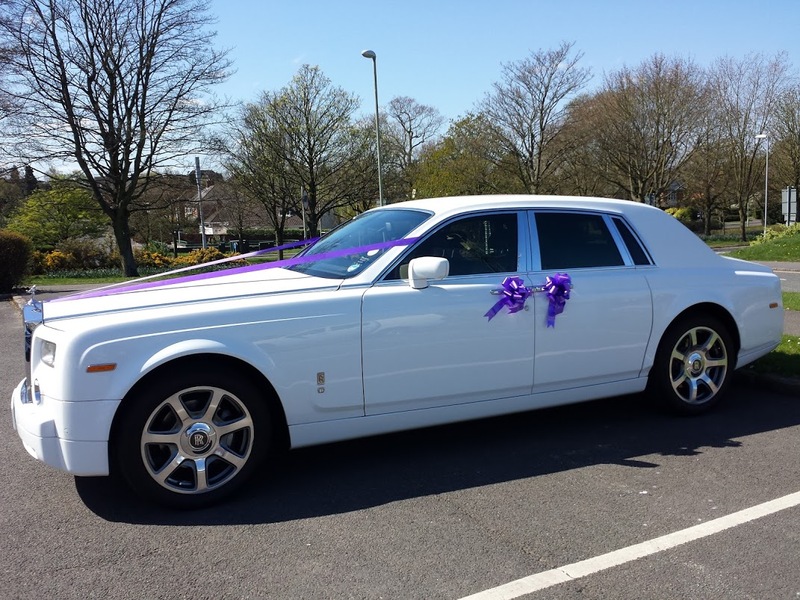 Please see below the photos of our vehicles.